The Roll of Honour contains the names of all the men enrolled within the Desert Mounted Column Medical Services, AIF known to have served and lost their lives during the Great War. In 1930, A. G. Butler along with R. M. Downes and F. A. Maguire, published a history of the Desert Mounted Corps Medical Services, AIF during the Great War called: Official History of the Australian Army Medical Services 1914 - 1918. Vol. 1 Gallipoli Palestine and New Guinea. The book included a chapter on the work performed by the Desert Mounted Corps Medical Services, AIF during the Battle of Rafa, Sinai, 9 January 1917 which are extracted below. Rafa now remained the only position retained by the nemy in Sinai, and its capture was decided upon. After a few days’ rest in the pleasant surroundings of EI Arish, on January 8th the Anzac Mounted Division, without the 2nd Light Horse Brigade, but including the Camel Brigade, assembled under General Chetwode on the eastern side of the Wady el Arish. With it was the 5th Yeomanry Brigade, whose field ambulance was under the direct orders of the Desert Column Headquarters. Medical arrangements for the force were in he hands of the A.D.M.S., Anzac Mounted Division, who had under him the 1st and 3rd Light Horse Field Ambulances, the New Zealand Field Ambulance, and the 1/1 Welsh Field Ambulance, together with Nos. 1 and 2 Welsh Ambulance Convoys. The column moved off at four o'clock in the afternoon, with all the mobile sections of the field ambulances marching together in rear of the ammunition camels of the first-line transport, instead of in their usual positions in rear of their own brigades. At 9.15 p.m. the village of Sheikh Zowaiid was reached, and here a main dressing-station was formed by the tent division of the 1st Light Horse Field Ambulance. Here also the two ambulance convoys remained, together with part of the sanitary section to attend to the local water-supply. The 5th Mounted Field Ambulance rejoined its brigade. The march was resumed at 1 a.m., the point of assembly was reached at daylight, and the brigades, each followed by its field ambulance, surrounded the enemy's position. Few scenes could have appeared more unwarlike than that which the dawn unfolded. The matting tents of the Bedouins, with their camels, sheep, and donkeys grazing peacefully, and the smoke of their fires mingling with the wreaths of mist rising from the wet green slopes, made a picture which brought to mind the stories of the Old Testament. Rafa is merely a small village and police post on the Egyptian frontier, comprising a few mud huts and separated from the sea by a belt of sand dunes 2.5 miles wide. It lies thirty miles from El Arish in a gently undulating country which, though sandy and quickly cut up by traffic, was no longer the soft sand of the desert but at this time of the year was covered by green grass, wild-flowers, and young barley, which made a pleasant change to the eye. About a mile and a half to the south-west of the village was an eminence, El Magruntein, from which the ground sloped gently on all sides; this the Turks had strongly fortified and garrisoned with a force of 1.900 men. The attack commenced at 8.30 a.m., and the course of the fighting was in striking similarity to that at Magdhaha and later at Gaza. Resistance was strong, and progress slow. As the day advanced, the situation became menacing for the attacking troops, thirty miles from their base and with all enemy force on their flank; moreover, Turkish reinforcements were reported to be advancing from Khan Yunus and Shellal. At 4.30 p.m. a preliminary order was given for a general withdrawal, but, before any order had reached the actual firing line, the fine assaults which have made this battle notable had changed the situation, and at 4.45 p.m. the most important positions had been captured. At 5.30 p.m. the battle was over. In view, however, of the general situation the brigades, with 1,500 prisoners of war, were withdrawn to Sheikh Zowaiid. The rapid changes in the military situation had involved the medical service in considerable difficulties. Early in the attack advanced dressing-stations were opened by the mobile sections at three points to the south and south-east of the position and about three miles from it. For the first time the absence of cover resulting from the unbroken slope of the country prevented sandcarts and sledges from reaching the regimental collecting posts, so that it was necessary for the ambulance bearers to carry the wounded a considerable distance to the transport. The improvised portable stretchers were of great value. Casualties reaching the dressing-stations steadily increased throughout the morning. At 2.30 p.m. it was apparent that there would be a large number of wounded, and orders were sent to Sheikh Zowaiid to send forward cacolet camels and No. 1 Welsh Ambulance Convoy towards the nearest advanced dressing-station -that of the Welsh Field Ambulance. 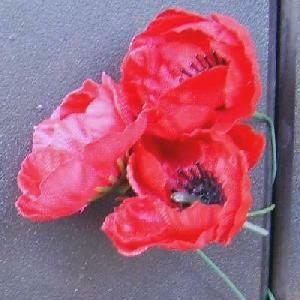 At about 4.30 p.m. orders for retirement reached the A.D.M.S., Anzac Mounted Division, and he was further informed from Desert Column Headquarters that wounded who could not be collected at once were to be left behind. A few minutes later came the added instruction that any sandcarts and sledges which arrived at the advanced dressing-stations from the firing line were not to return. These orders were passed by the A.D.M.S. through brigade headquarters to the bearer detachments behind the assaulting troops, while verbal orders were given to the dressing-stations to pack up and retire as quickly as possible. The New Zealand Mounted and 1/1 Welsh Ambulance advanced dressing-stations, with their wounded, left for Sheikh Zowaiid, as did also part of the transport and equipment of the 3rd Light Horse Field Ambulance. The number of wounded in that dressing-station was. however, beyond the capacity of the transport available for their evacuation; word was also received by the A.D.M.S. that large numbers still remained uncollected in the field. Reconsideration of the peremptory order concerning the transport for the wounded was obtained from the General Staff, Desert Column, and arrangements were made for No. 1 Welsh Ambulance Convoy - at this time five miles away - to be sent forward to divisional headquarters. By 5.30 or 6 p.m. clearance of wounded from the battlefield to the advanced dressing-station of the 3rd Light Horse Field Ambulance was in full swing. Divisional headquarters set out for Sheikh Zowaiid at 7 p.m. leaving on the battlefield the A.D.M.S., Anzac Mounted Division, with a general staff officer, together with one and a half squadrons of light horse, to control the collection and evacuation of the wounded. The 3rd Light Horse and New Zealand Brigades remained near the captured position till 9 p.m., when, the field having been cleared, they also left for Sheikh Zowaiid. The medical situation in the captured position at this time was an extraordinary one. Some 100 or more wounded, British and Turk, lay in the 3rd Light Horse Field Ambulance advanced dressing-station, with few blankets, no food, and no lights, all these conveniences having, in the confusion, gone back to Sheikh Zowaiid on the equipment camels. The 5th Mounted Field Ambulance, with a large number of wounded, was in a similar plight. No. 1 Welsh Ambulance Convoy, long overdue, had not arrived – the convoy had indeed received such alarming reports from retiring parties, that it had returned to Sheikh Zowaiid. All telephonic communication had accidentally been cut off, the enemy was close at hand, the night was a bitter one. Cold, hungry, and hourly expecting capture, the wounded suffered severely. Happily, the enemy held off, but it was not till early next morning that, on the arrival of the 3rd Light Horse Brigade at Sheikh Zowaiid, the Welsh ambulance convoy received orders to return to Magruntein. At 8 a.m. the wounded were sent to Sheikh Zowaiid, and early the same afternoon all the sandcarts of the 52nd Division arrived from El Arish and evacuated them to the receiving station there. Some of these sandcarts went out close to Rafa to bring in a number of wounded Turks who had been missed, and arrived back at Sheikh Zowaiid at 5.30 a.m. on January 11th without molestation, although the rearguard had come in. After treatment and a night's rest at Sheikh Zowaiid the remainder of the wounded were evacuated in the 1st Light Horse Field Ambulance transport and two Welsh ambulance convoys to El Arish, where they arrived at 6 p.m. Thence they were taken away to Kantara on January 12th by ambulance train, which now came within three miles of El Arish. The total number of wounded from this action was 415 British and 162 Turks and Germans. In 1918, Serjeant-Major, published a history of the Royal Army Medical Corps, EEF during the Great War called: With the R.A.M.C. in Egypt. The book included a chapter on the work performed by the Royal Army Medical Corps, EEF during the Battle of Rafa, Sinai, 9 January 1917 which are extracted below. But the very magnitude and thoroughness of our action now lost us the chance, for the time being, of a grand decisive coup. The enemy got wind of our intention and wisely decided to retire. Our aircraft brought in the news that El Arish was being hastily abandoned. On receipt of these tidings, our mounted troops—cavalry, camelry, and horse-artillery—dashed forward, covering the intervening twenty miles of heavy desert country in a single night. The infantry followed, each man carrying two days' rations in addition to his fighting gear, the whole force reaching El Arish within eighteen hours of the start. Vigorous pursuit of the retreating enemy was at once organised, and our flying column caught up with him at Magdhaba, twenty miles S.E. of El Arish, in less than four hours, and there inflicted on him a crushing defeat, taking 1,350 prisoners. Eleven days later came the action at Rafa, thirty miles N.E. of El Arish, where another dashing raid by our troops resulted in an even larger haul of prisoners and still more damage inflicted on the foe. "We arrived at El Arish on the 23rd December after a very trying march and enormous difficulty in getting our ambulance equipment through the sandhills. Here it became known that our mounted troops had succeeded in catching up at Magdhaba with a big lot of retreating Turks, and had managed to cut them off from the main body of the enemy. On the night of the 24th word came through that large numbers of wounded, both British and Turks, were lying at the Ambulance Station of the mounted force, and this Ambulance needed help. We sent three of our M.O. 's and 45 orderlies to assist. We also received a message that a camel convoy of wounded, on its way from this battlefield to our base, was held up a considerable distance off owing to the exhaustion of the camels. We sent two M.O. 's, a squad of orderlies, and 18 sand-carts, to bring these wounded in. It was no easy matter to find the convoy in the middle of the night amidst a trackless waste of hills, but our men succeeded in coming upon them about two o'clock in the morning. 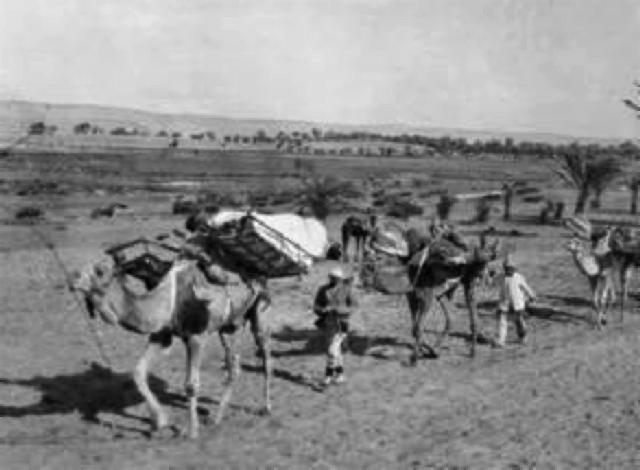 The wounded soldiers were transferred from the camel cacolets to our sand-carts and safely brought to El Arish. "At this time we were rendering daily help to the overtaxed men of the Mounted Ambulance. We had, in addition, to attend to the wounded Turkish prisoners here at the base. Our Ambulance Convoys also did continuous duty conveying patients to the railhead twenty miles back on our lines of communication. It is interesting to note that one case, that of a wounded British officer, was evacuated from Magdhaba by aeroplane." After the dash on Rafa, three of the Field Ambulances in El Arish received orders to turn out every available sand-cart in their equipment and to proceed to a place called Sheik Zowaiid, about twenty miles off, for the purpose of collecting wounded from the Rafa action. Between them, the three Ambulances got together a Convoy consisting of over fifty sand-carts, and a big detachment of nursing-orderlies and M.O.'s. The Convoy set out in the darkness of early morning on the 10th of January, reaching their destination about 11 a.m.
At Sheik Zowaiid some six hours were spent in dressing and bandaging not only our own wounded but many wounded Turks who had been brought in to the station. During this«.time numbers of the sand-carts were sent out to scour the country eastward for further wounded, four of these carts narrowly escaping capture by the enemy. It was late in the afternoon before the Convoy was fully loaded with the more serious cases, and could start on the homeward journey. El Arish was gained at two o'clock on the following morning, exactly 22 hours from the time the huge Convoy had set out. In this period our R.A.M.C. men had marched 20 miles over soft, deep sand—the most tiring walking in the world—had done six hours' hard work, and had then marched back again without a minute's rest all the time—a performance whose merits need no comment. Such incidents in the daily work of the Medical Corps, however, have been far from uncommon during the Campaign. 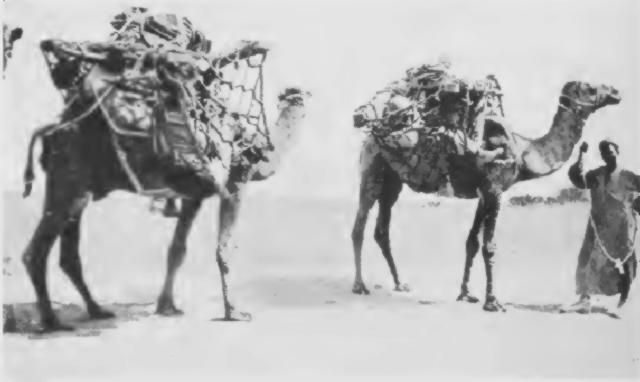 "After preparing our hospital so as to accommodate a total of 350 patients, the wounded commenced to arrive; and an incessant flow of them continued all night, some arriving on camel cacolets, and others—stretcher cases mostly—reaching us in the sand-carts. In addition to the hospital-marquees, three reception-tents and three surgical and dressing tents had to be used to cope with the number of admissions. Curiously, the first wounds treated were mainly of a slight nature, but later on many exceptionally serious cases were admitted, several of which required immediate operation. "As well as our field-hospital work we also undertook the duties of a Casualty Clearing Station, evacuating the patients to the hospital-trains at railhead for transmission to the Stationary Hospitals at the base on the Canal. Our total admissions of wounded from the Rafa stunt were 309. The system we worked upon was to evacuate all the less gravely wounded cases at the earliest opportunity, while the more serious cases, such as thorax or abdominal wounds, were retained in the hospital and treated until fit to stand the journey in the train." “Special mention deserves to be made of the gallantry of the stretcher-bearers. They went out into this absolutely open country (the exposed ground in front of the enemy position, over which our troops had charged). They took no notice of the heaviest fire, but coolly picked up the wounded, and bore them away to the ambulance wagons. It is pleasant to be able to add that, in spite of the great distance at which the Force was operating (nearly thirty miles), the hospital arrangements were admirable. Our wounded and the Turkish wounded prisoners travelled comfortably to El Arish, and 24 hours after the capture of the Rafa position, all were housed under canvas." It is interesting to compare the hospital-train service at this stage of the operations with that in force during the battle of Romani five months earlier. Whereas at the earlier engagement the wounded were conveyed in common ration or munition trucks hastily and imperfectly fitted up for the occasion, and attached to the ordinary trains, to the acute discomfort, and often downright torture of the patients, now a thoroughly well organised and efficient train-ambulance system had come into being. Two complete and well-appointed hospital trains were in readiness at the railhead. Each train had its Medical Officer and special staff of R.A.M.C. orderlies. The carriages were well sprung and properly coupled, to ensure smooth and easy running. There were comfortable bed-bunks for the lying-down cases, and equally comfortable sitting accommodation for the rest. Each train had its travelling kitchen and staff of cooks, so that not only the usual meals but special invalid diet could be prepared en route. There was also a plentiful supply of medical and sick-room comforts, not omitting the inevitable tobacco and cigarettes, always on hand. In fact, the suffering passengers were as well looked after as in a permanent hospital ward. The service had also been expedited in a remarkable degree. During the Romani engagement the improvised ambulance trucks attached to the ordinary trains were subject to endless stoppages and delays, and commonly took four or five hours to negotiate the distance of about 25 miles to Kantara. Now, in spite of having many more miles of Desert railroad, wherein were many steep gradients to traverse, the hospital trains landed their helpless human freight at the Base on the Canal within five to eight hours. At Kantara a fleet of motor ambulances awaited each train, and the wounded were swiftly conveyed either to the steamers on the Canal, which took them to Port Said, or to the station of the Egyptian State Railway on the other side of the water, whence other equally well-appointed ambulance trains transported them to the Base hospitals. The net result of this greatly accelerated and perfected service was that valuable lives were often saved by bringing the seriously wounded betimes within reach of proper surgical aid and appliances. Thanks alone to the energy and resource of a hard-worked Medical Staff, the country was at last doing its best for those who had given their best for their country.